Legend has it that Venus, goddess of love, let fall some of the pearls from her necklace into the Tyrrhenian Sea, giving birth to the Tuscan Archipelago; in this enchanting myth lies a part of truth, beacause the islands of the Archipelago are fragments of Paradise. 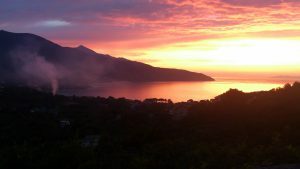 With a distance of 10 km from the continent and a size of 224 qkm Elba is the biggest island of the Tuscan Archipelago and actually the third-biggest of Italy. 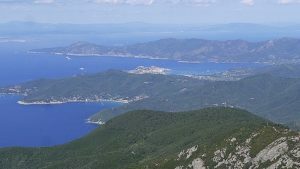 For many years now big parts of the Elba Island and of the other islands of the Tuscan Archipelago (Pianosa, Capraia, Montecristo, Giglio and Giannutri) are protected in the National Park of the Tuscan Archipelago. The main roads (approx. 180 km) are all well asphalted. There are 80 km of other panoramic roads and dirt roads. During the Medieval period Elba was dominated by Pisa. The remains of some important and striking defensive structures testify to the importance of possessing the island. 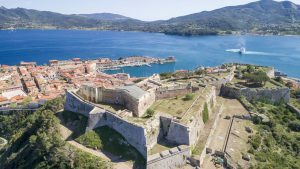 The Applani Lordship followed, as did the attentions of Cosimo de Medici, who built "Cosmopoli" on top of the ruins of the Roman city of Fabricia - now the capital Portoferraio - and had it surrounded with the impressive walls that saved the inhabitants from many pirate raids. 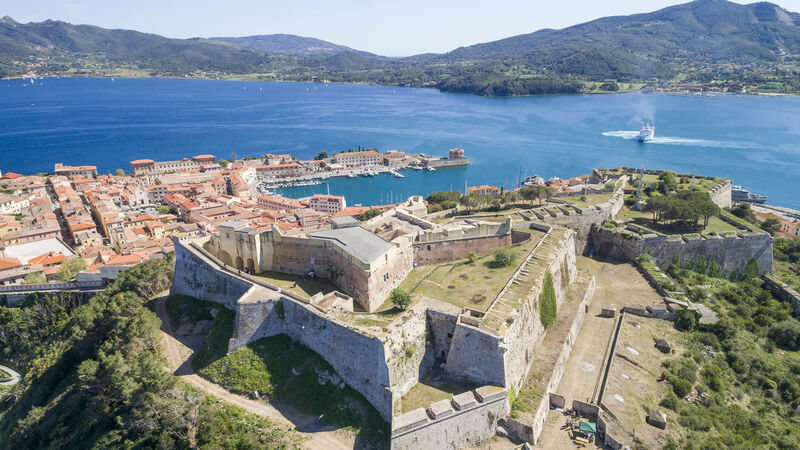 The Spaniard’s settled in Porto Azzurro and they too made sure to construct defenses on their territory - the imposing San Giacomo Fort still dominates the pleasant landscape. In the more recent history, the period that made this island famous and placed it on the world map was the brief exile of Napoleon, who stayed here for 10 months prior to his 100 days adventure which was finished in Waterloo. Bonaparte left a significant mark of his short reign: important reforms and buildings like his Townhouse "Villa dei Mulini" in Portoferraio and his impressing summer residence "San Martino" - which are now museums and can be visited. 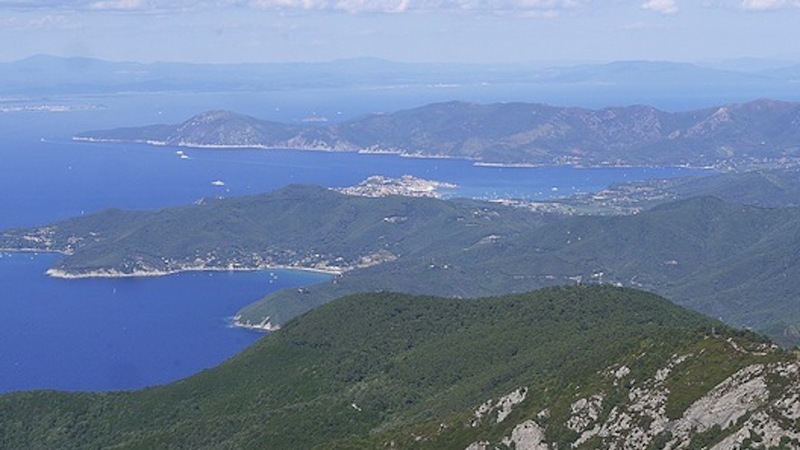 The Island is divided in 8 communes: the capital Portoferraio, Campo nell'Elba, Capoliveri, Marciana - with the biggest size, Marciana Marina, Porto Azzurro, Rio Marina and Rio nell'Elba. The famous wines and the excellent kitchen should give - next to the kindness of the inhabitants, the beauty of the landscape, further the impressive water quality and the annual mildly climate - a big incentives to spend your holidays here on the Island of Elba. We will welcome you!